Having very low cholesterol raises the risk of hemorrhagic strokes in women, a new study finds. Researchers say that women with low levels of cholesterol were two times more likely to have a stroke that leads to bleeding in the brain compared to those with average levels. Additionally, women with the lowest levels of triglycerides, fat found in the blood, had an increased risk of hemorrhagic stroke in comparison with those with the highest levels. Lowering cholesterol and fat levels in the blood have long been touted as ways to minimize the risks of heart attack and strokes. The team, led by Brigham and Women’s Hospital in Boston, Massachusetts, says the findings are evidence that women with very low levels of cholesterol or triglycerides need to be monitored closely by their doctors to reduce their stroke risks. There are two types of cholesterol. The first is LDL, known as ‘bad’ cholesterol because it can buildup in the arteries and lead to several health problems. The second is HDL, known as ‘good’ cholesterol because it carries cholesterol from other parts of the body back to the liver, which then removes the cholesterol from the body. Levels of cholesterol are generally measured as milligrams per deciliter of blood (mg/dL). For HDL, the number should be above 60 mg/dL and, for LDL, optimal is generally less than 100 mg/dL. For the new study, published in the journal Neurology, the team looked at nearly 28,000 women aged 45 or older who had been enrolled in the Women’s Health Study. The WHS, run by Brigham, studied the effects of low-dose aspirin and vitamin E in the prevention of cardiovascular disease and cancer. All the women had their total cholesterol, HDL cholesterol, LDL cholesterol and triglycerides measured at the study’s start. In a follow-up period of roughly 20 years, the team found about 140 women who had a bleeding stroke. Hemorrhagic strokes, which occur when a weakened vessel in the brain ruptures and bleeds into the organ, make up about 13 percent of stroke cases, according to the American Stroke Association. Although they are less common that ischemic strokes, which is when blood flow is blocked to the brain, they are more difficult treat, and therefore deadlier. Roughly 0.8 percent of women with cholesterol 70 mg/dL or lower had a bleeding stroke compared to 0.4 percent of women with cholesterol between 100 mg/dL and 130 mg/dL. That means women with very low LDL cholesterol were more than twice as likely to have a hemorrhagic stroke. 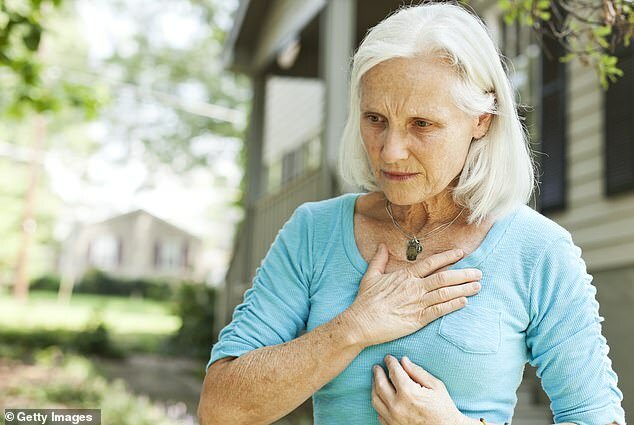 Additionally, researchers found that 0.6 percent of women with the lowest levels of had a bleeding stroke compared to 0.4 percent of women with the highest levels – meaning women with low levels had double the risk. ‘Strategies to lower cholesterol and triglyceride levels, like modifying diet or taking statins, are widely used to prevent cardiovascular disease,’ said co-author Dr Pamela Rist, an associate epidemiologist at Brigham and Women’s Hospital.